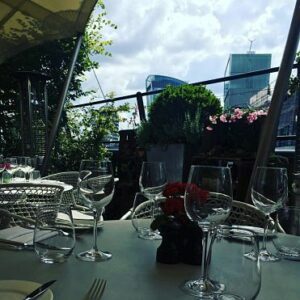 There are plenty of casual places to eat gluten free in London, but sometimes you are after something a little bit special, or dare I say it, posh! 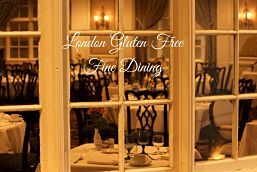 This post lists some of my London gluten free fine dining experiences to help you plan your special occasion meal. 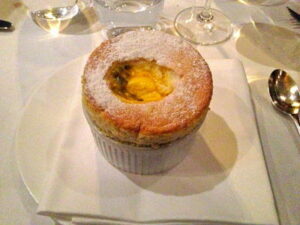 This is one of my favourite restaurants in London! 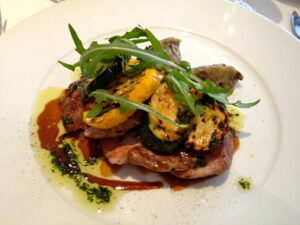 The entire menu is gluten and dairy free and the Covent Garden location makes it ideal for a pre-theatre meal. 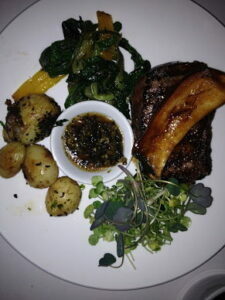 A set menu option gives you the fine dining experience without the price tag! 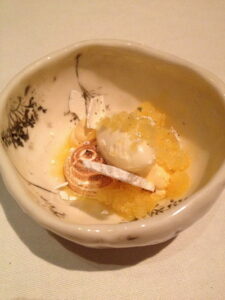 You will have a lovely experience at this contemporary one Michelin star restaurant. Gluten free is not marked on the menu, but the staff are well versed in the options and gluten free bread is available. 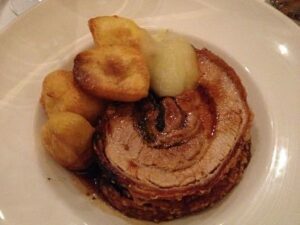 Located above Borough Market the gluten free diner has many choices and does not miss out on the gravy! Some tables have views of St Paul’s Cathedral. 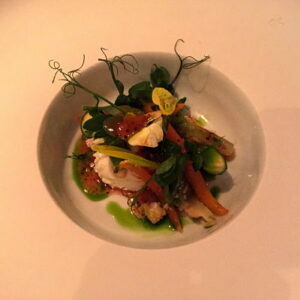 Owned by renowned chef Yotam Ottolenghi, the ground floor is the formal restaurant. The menu is influenced by the Middle East and Asia and a gluten free menu is available and the wait staff are very knowledgeable about other ingredients if you need to avoid more than gluten. The ground floor entry to the restaurant is not glamorous, but all is forgiven when you get to the top of the building and have great views and lovely food. 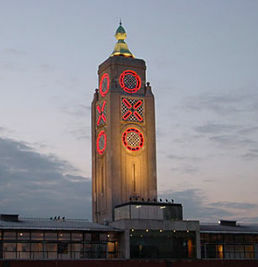 Oxo Tower Brasserie was my first fine dining experience in London and it has views to die for! There have been limited gluten free options when I have visited, but it is definitely worth enquiring. If you are staying in West London or don’t mind a tube or taxi trip, also consider these great options. Holding two Michelin stars, you need to plan ahead to dine at The Ledbury. The wait staff advise on gluten free options and can alter dishes as required. A great special occasion restaurant in a formal environment.Read more here. Located in the charming Devonshire Road, the staff at La Trompette carefully look after the gluten free diner (most dishes adaptable) with impeccable service. Photo credits: supplied by businesses or taken by The Coeliac Plate unless otherwise noted.